The new ERA Padlock range is suitable for both domestic and commercial applications. The Domestic Range is available in both standard and high security in easily merchandised packaging. Laminated, weather proof, brass and combination padlocks all have individual security ratings and advice on application; allowing customers to pick the most suitable product for their requirements. The Professional Range are packaged in a retail box and are available in standard, closed and long shackle designs. Manufactured from hardened steel with a Molybdenum hardened shackle, the five double pin cylinder with magnetic pin gives ultimate anti-pick, anti-bump and anti-drill resistance. The use of Molybdenum stainless steel gives the padlocks a smooth surface finish and is used in the manufacture of missiles, aircrafts and within the power industry due to its enhanced corrosion resistance. The use of hardened steel within the shackle protects it from sawing and cutting and the dual stainless steel ball bearing locking ensures the shackle is protected against potential pull attacks. 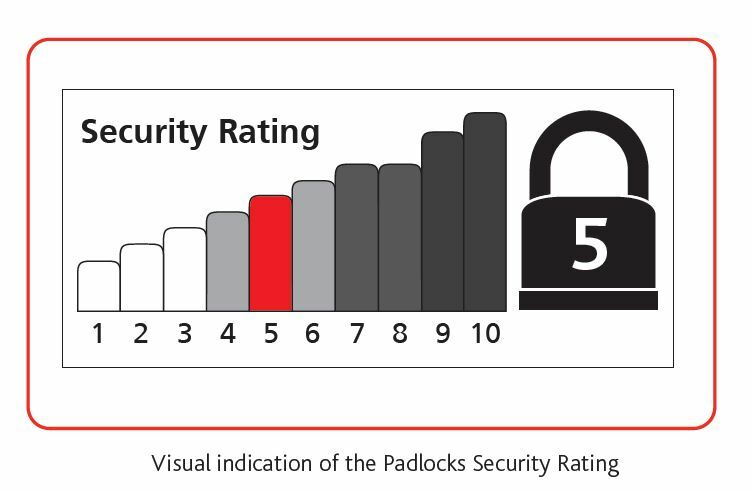 The ERA security rating system provides a visual indication of the security level for that specific product on the packaging giving customers key information when purchasing.